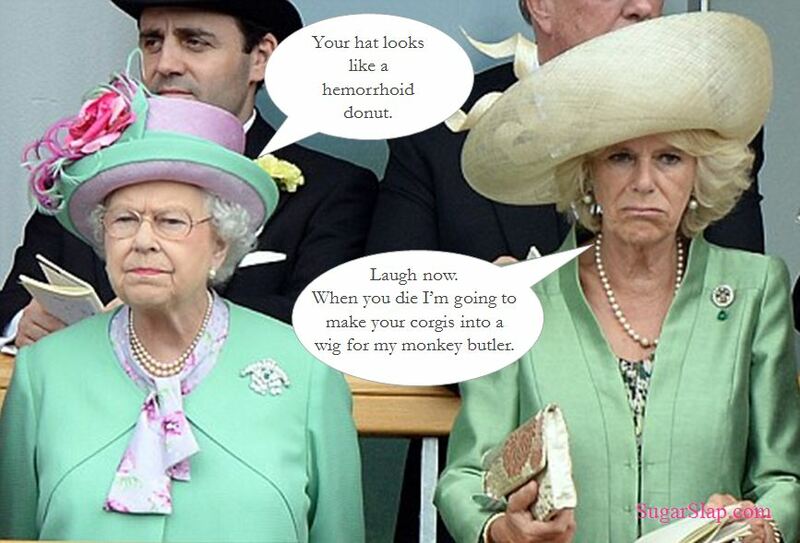 I’m pretty sure this is what the Queen and Camilla talk about while they are watching pogo stick tournaments. And other similar traditional British events. This entry was posted in Humour and tagged Camilla Parker Bowles, Corgis, England, fancy hats, Royals, The Queen. Bookmark the permalink. International Cat Day: It’s a thing.